HitMaker Music School is pleased to provide music lessons to students from NW Austin, Cedar Park, Leander, Liberty Hill, Round Rock and Georgetown Texas. 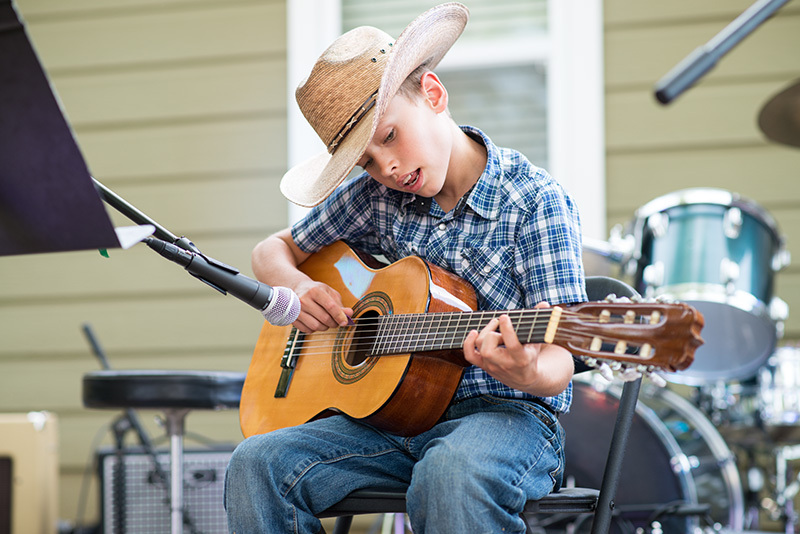 Our music school in Cedar Park has instructors who are teaching music in all styles with a firm foundation in fundamentals. Students are learning how to play piano, guitar, voice, bass, ukulele, drums, flute and more. In piano lessons, students are learning how to gain independence with their 10 fingers by working through classical foundation exercises along with scales, learning songs, understanding song form, and moving into music theory and notation. Our guitar lessons are for students with acoustic guitars and electric guitars. The students are working with method books, scales, and learning songs and song form, including blues, pop, standards and more. To learn guitar, the students taking lessons must be willing to work on finger strength and toughness, in order to make music. Our instructors are patient and willing to work at the students pace. We always encourage our students to make progress. We can make a little progress or a lot of progress at once. Either way, we will learn to work forward in order to achieve the goal of playing music.